I started using sunflowers in my 4th grade classroom when I was working one summer on my masters degree. I had to “make” a bunch of activities and so I chose a sunflower theme. When it came time to get my room ready, it naturally had to go all sunflowers. 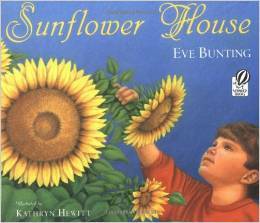 I came across a wonderful book, Sunflower House by Eve Bunting when the book fair rolled around so I had to get it. The students loved it. I went on to other positions and later retired, but I kept my book. 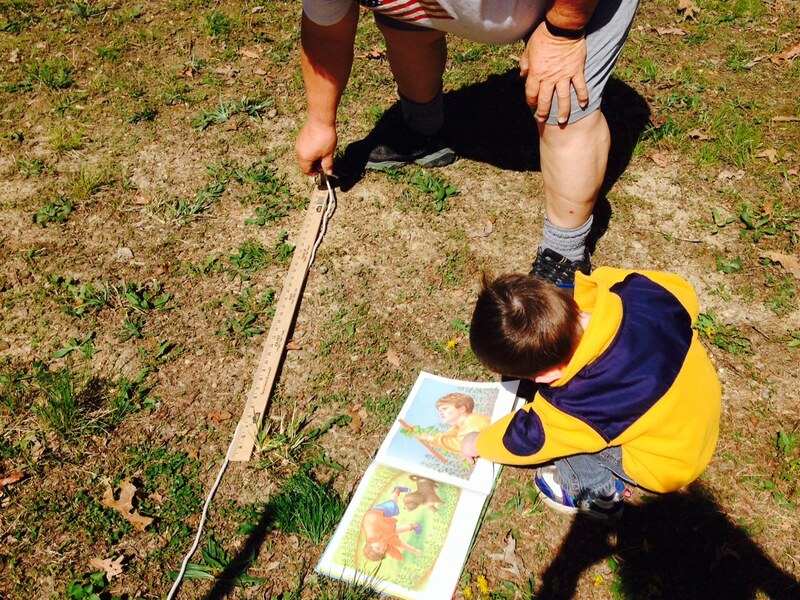 Now, my grandkids are enjoying the book. 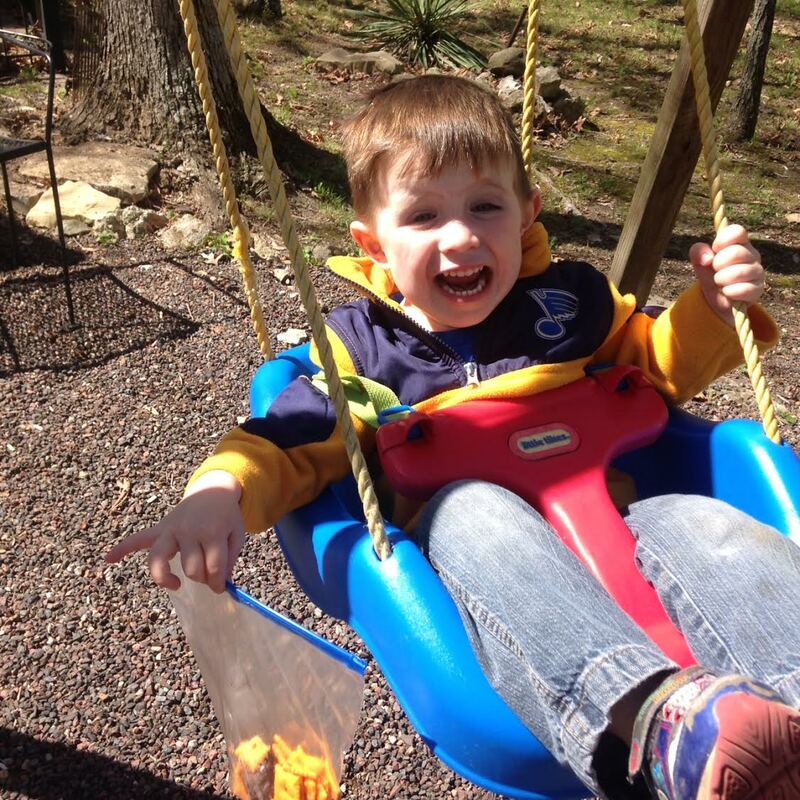 This week we are keeping Ben, our almost 3-year-old grandson. He loves “reading” the book. I love when he repeats certain words and phrases from the book. “Oh, my gosh.” “Wait”. We decided to build a sunflower house like we read about in the book. How to Build a Sunflower House Directions – Click on this link. 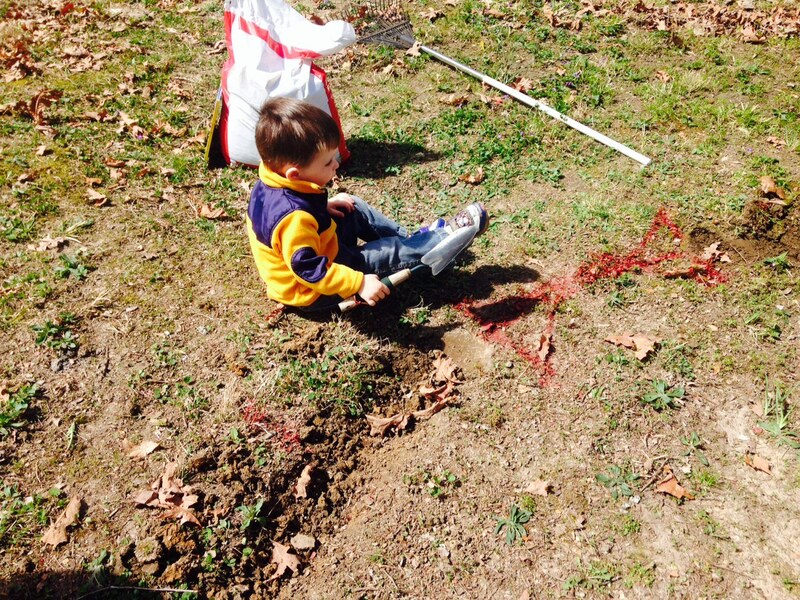 First, you and your helper pick out a good spot that will get a lot of sun. Next, you “read” the directions to your helper. Then you have your helper make a circle with a string and spray paint. Don’t forget to leave an opening for the doorway. 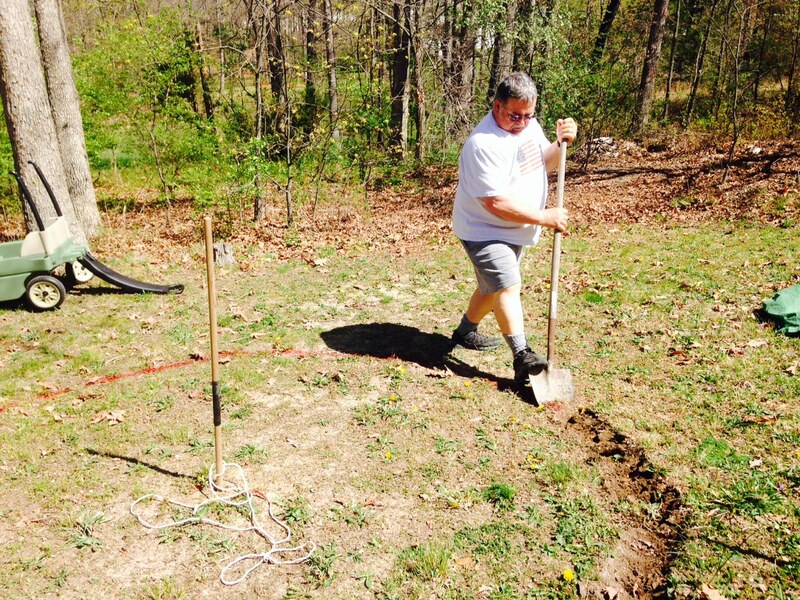 Then you have your helper dig a narrow trench..
You then tell your helper to keep working and you take a swing and snack break. You start to feel sorry for your helper and decide you’d better get back to work. Almost ready to plant the seeds. You decide to leave that job to your helper as you have other important things to do. 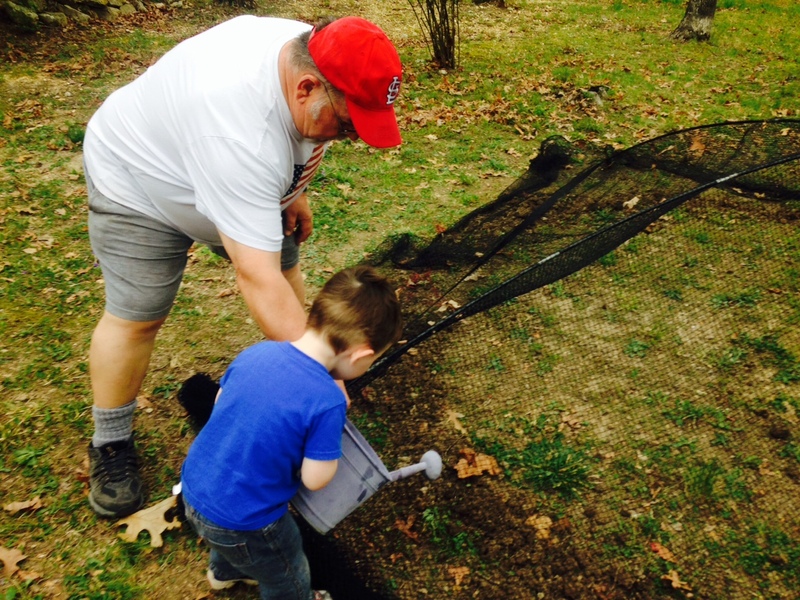 Your helper sows the seeds and puts netting over the area so birds won’t steal the seeds. You learned in the book they like to do that. 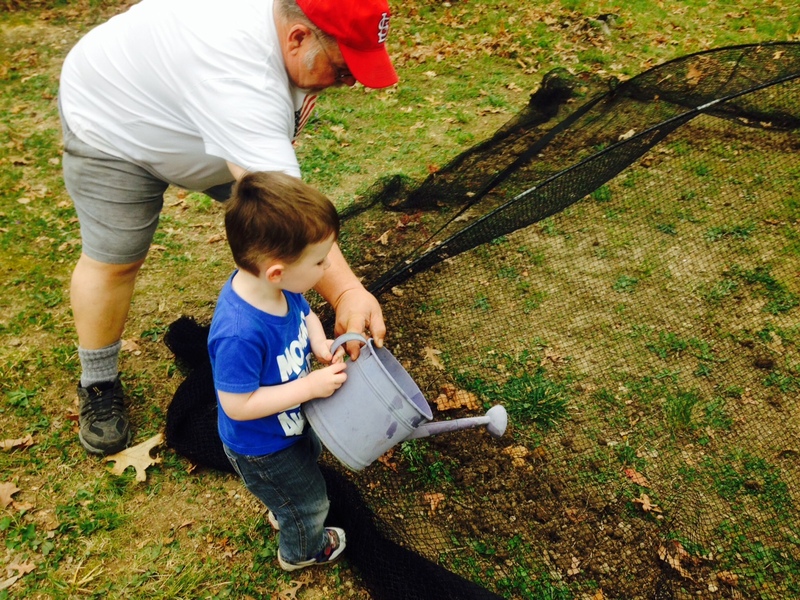 You use water from the fish pond to get some good growing started. 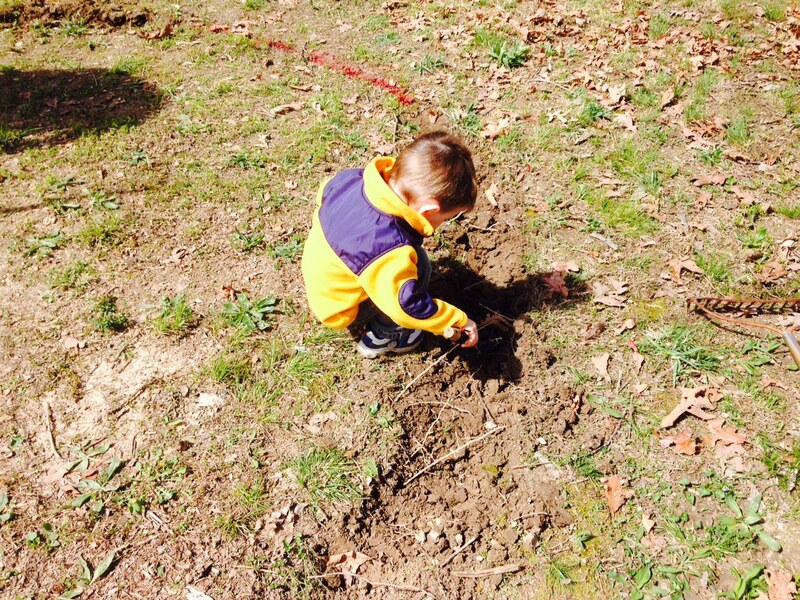 We can’t wait to see our sunflower house start sprouting and growing! We must remember to water. We must remember to water.